Nike ACG’s run of retro and new releases have been on fire recently. 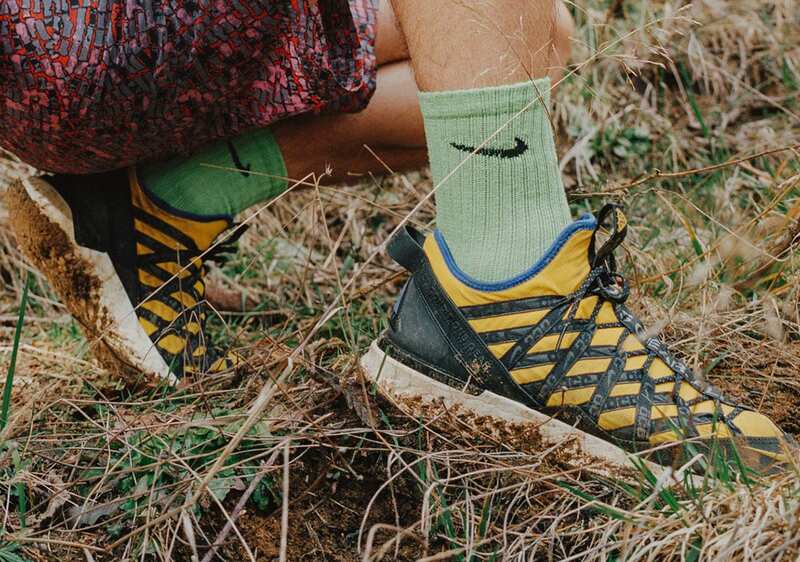 This week, the Swoosh has announced the latest addition to their lineup: the Terra Gobe Trail, which introduces a rugged new React midsole to the ACG family. Nike’s All Conditions Gear division has been popping off in recent months due to its place at the center of three major trends: oversized, colorful, and athletic. The project has always lived largely within these boundaries, taking some of Nike’s latest and greatest technologies and silhouettes and re-adapting them for everyday outdoor fun. This month, the Swoosh has announced a brand new shoe set to release soon: the React Terra Gobe. 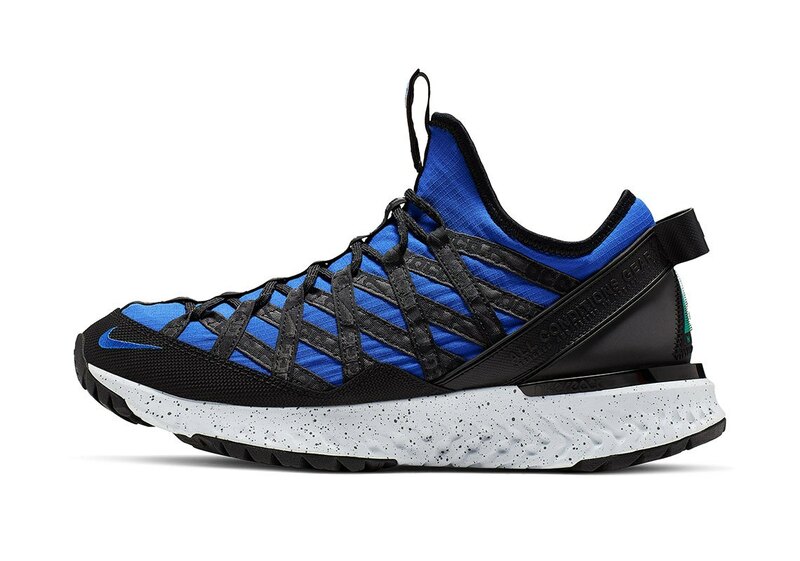 The Nike ACG React Terra Gobe is a brilliant step forward for the outdoor division that also plays well with ACG’s archive of sneakers. The upper features durable ripstop nylon layered with more nylon woven into interlocking lace loops. The toe cap features a solid rubber guard to keep your digits safe, while the heel also boasts stiff protective leather coated in reflective 3M coating. The midsole modifies that of the Odyssey React, adding more durable lugs to the outsole to provide extra grip in wet and slippery conditions. 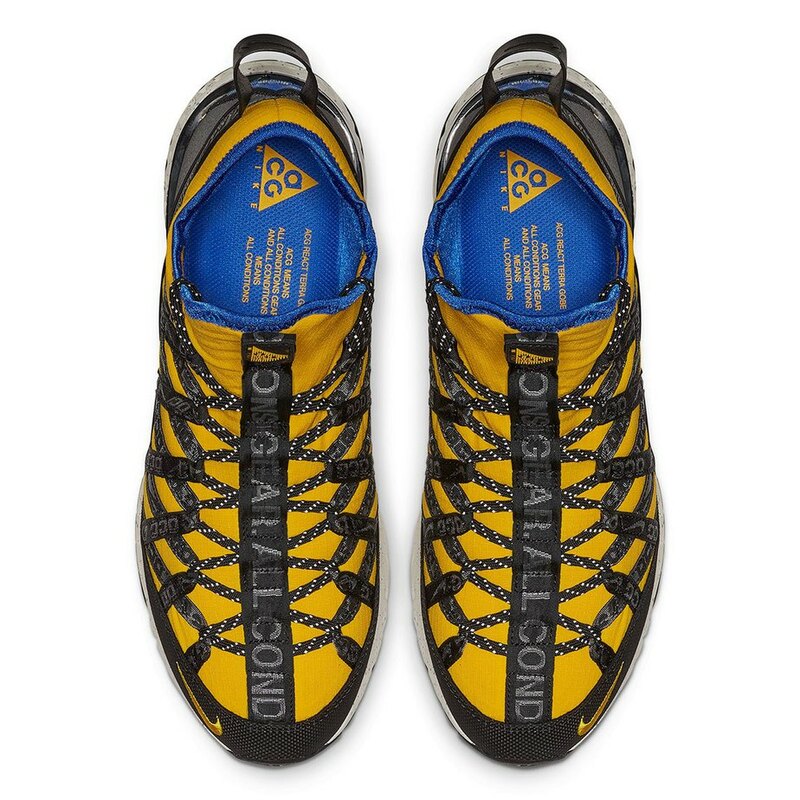 Nike latest ACG sneaker titled the React Terra Gobe has been officially slated for release on April 20th, 2019. 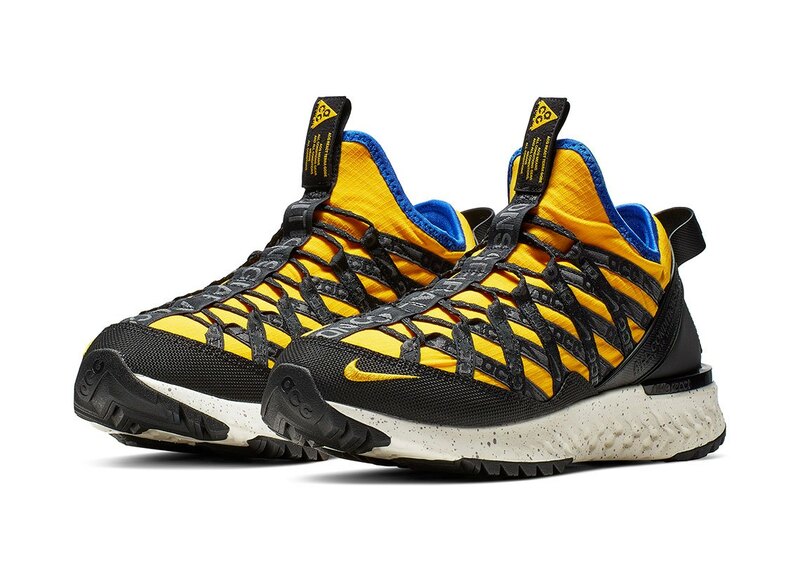 The initial yellow and blue colorways will be the first to release, and given their construction, the price is expected to sit somewhere around or above $150. 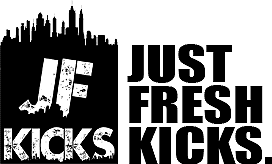 Check out the official images below for a better look, and stay tuned to JustFreshKicks for more Nike ACG news.